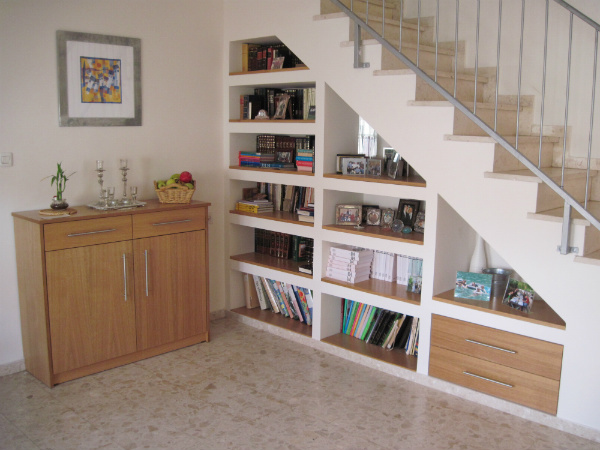 This simple staircase serves so many functions, without being cluttered. 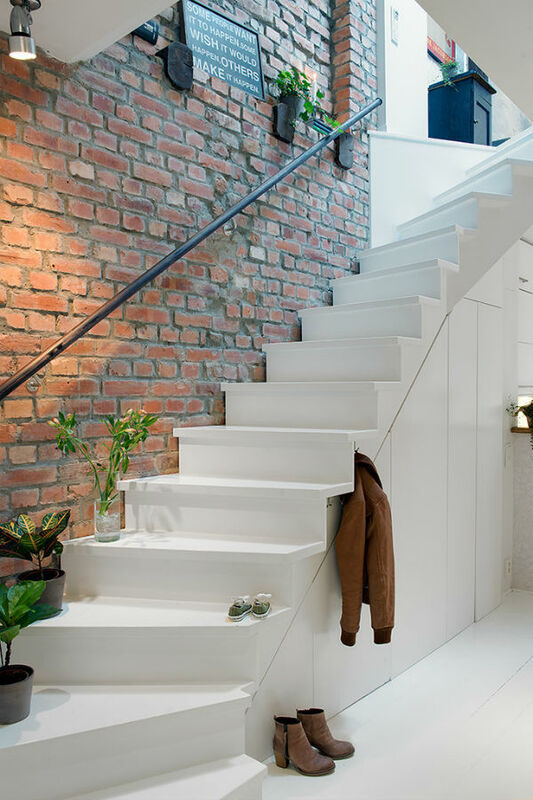 And the contrast between the smooth white stairs and rough brick wall surface, creates an impact. 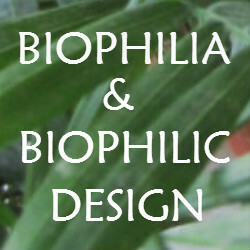 I like how the wide curved treads are used to display plants, which really enlivens it. 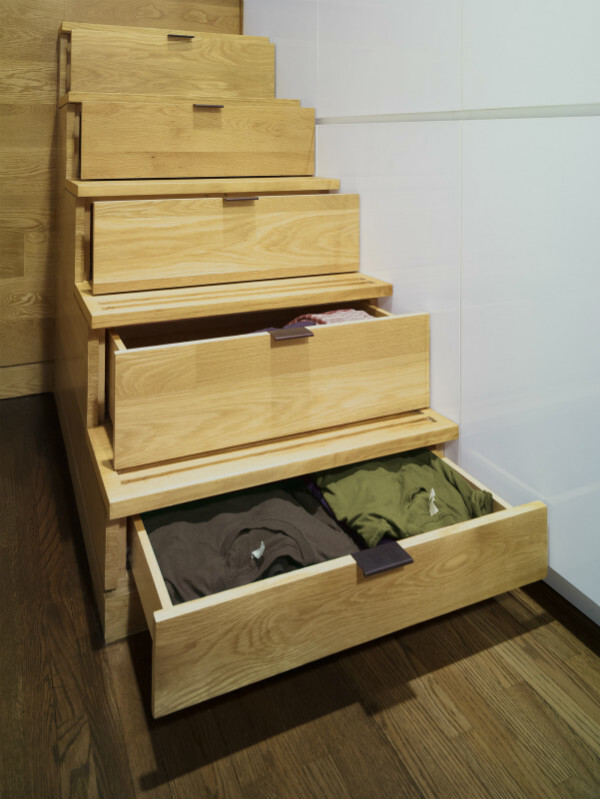 While the integrated cloakroom underneath hidden behind doors means that all clutter is kept out of site. 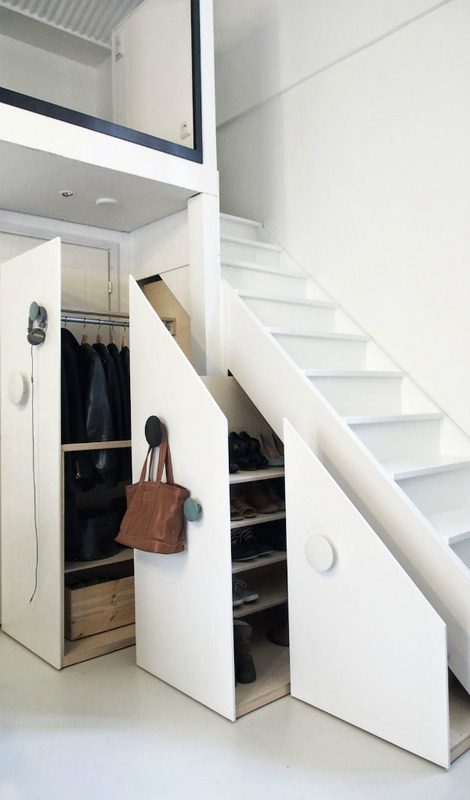 The hooks attached to the overhang of the stair treads are also a clever touch. How about these pull out storage units? 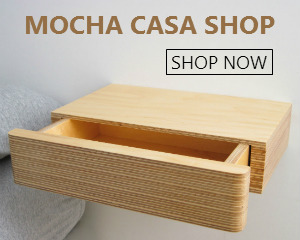 Three individual cupboards slide right out providing ample storage for coats, shoes and bags. And the oversized knobs add an interesting decorative feature, as well as useful place for hanging items. 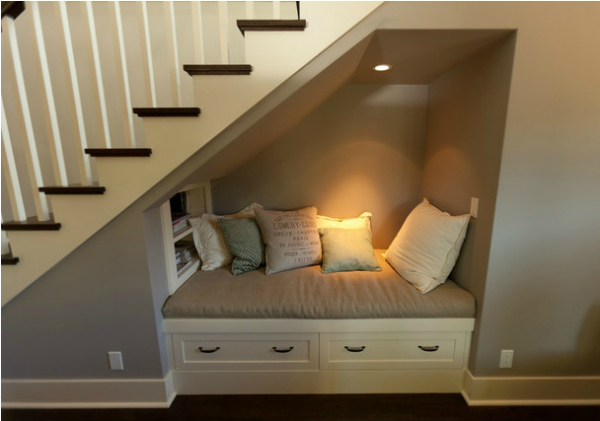 The space under the stairs can be an ideal place for a built-in bookcase, home office – or even cosy reading nook! 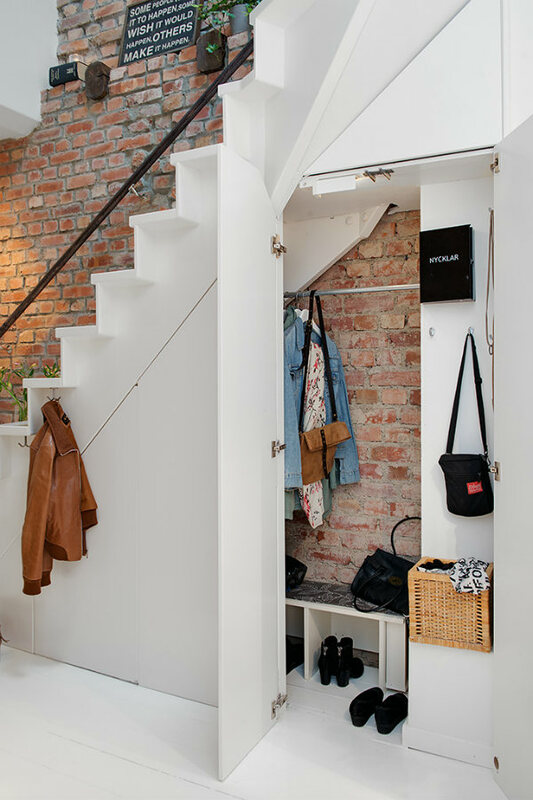 The staircase itself can become a storage unit. 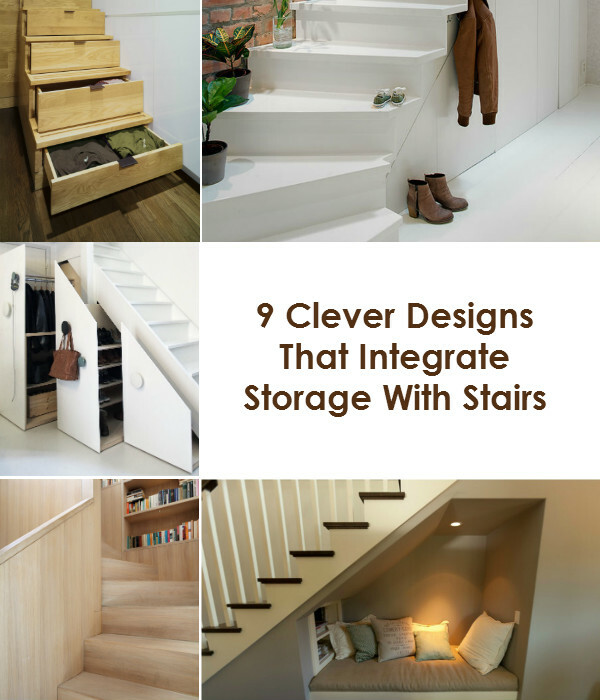 Take a look at this smart design where pull out drawers are built into the stair risers. 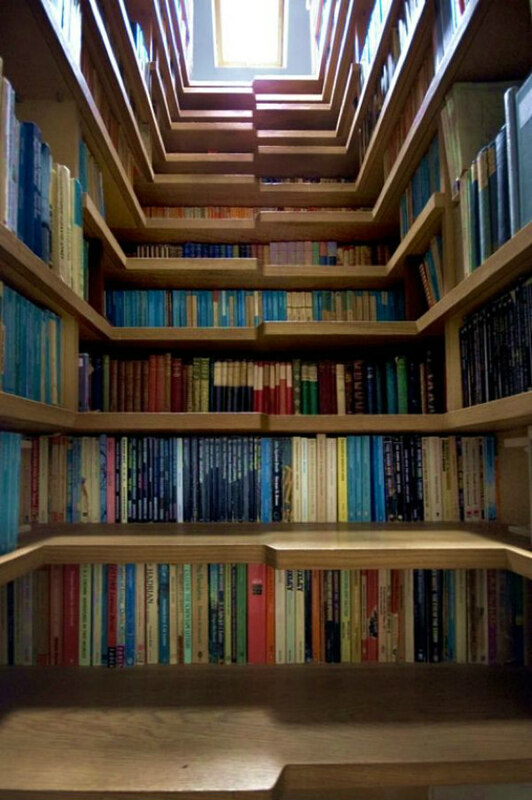 And how about his bookcase staircase? Perfect for book lovers. Here’s another good one for anyone with a large book collection. 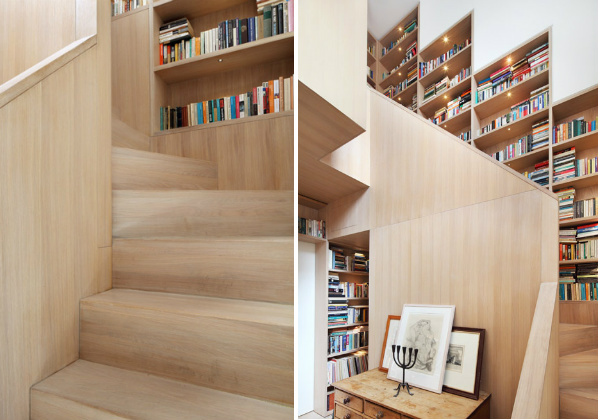 These bookshelves are built into the wall on the side of the stairwell and stagger up to the top, finishing at a small cantilevered study space. Right now I live in an apartment and don’t have a staircase to try out any of these design ideas. 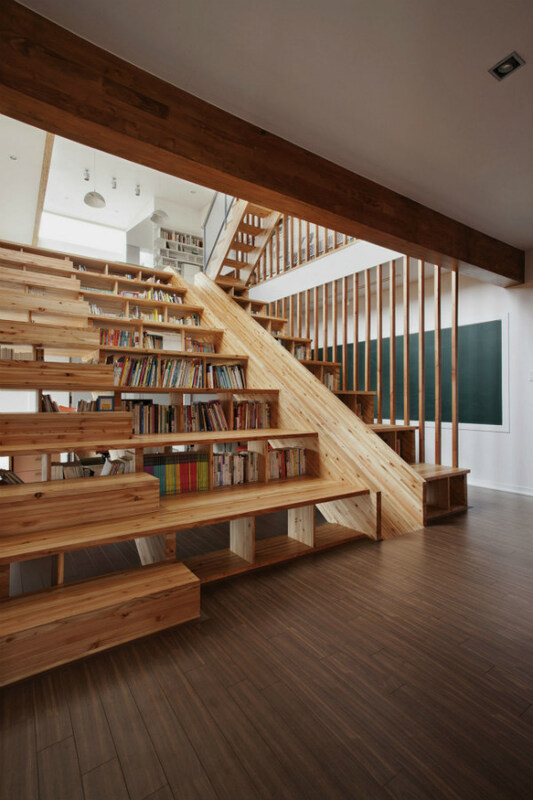 But one day I’d love to have a home with stairs just so I could have some cool storage features like these. The slide is the best one! 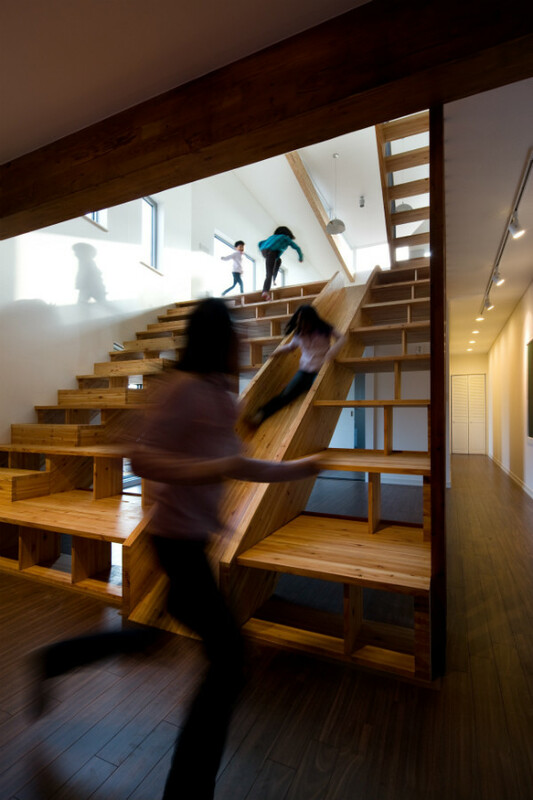 Who wouldn’t want a slide for when you don’t want to walk down the stairs? I would enjoy it almost as much as my kids would. These are fantastic staircase designs! Very creative ways to save space!